Step into the Beauty of The Rose. Make a connection between the inner worlds of Light and day to day living. Answer the questions, Who am I? Where am I now? and Where am I going? 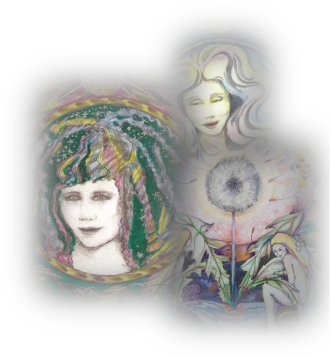 Receive the Gifts of The Goddess to transform and heal. On this programme you can become a practitioner of The Emerald Fire, using the 6 Keys around the Circle of 12. OR . You can use the programme for yourself, to develop your gifts of healing; enriching your life with new found gifts of wholeness, Strength and Power. The Princess of Winds, Rainbow Woman, Daughter of Time, The Enchantress, Fire Goddess, Crystal Healer, The Ice Queen, Moonlight Dancer, Spirit of The Sea,Warrior, Earth Mother and Cloak of Faerie. 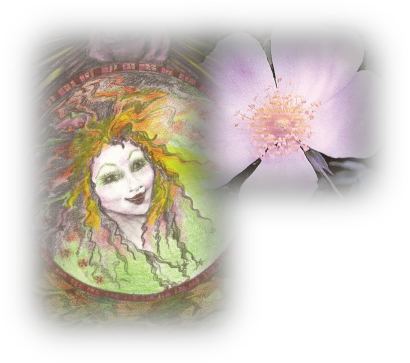 You will discover the Ancient Lineage of The Rose and receive gentle , healing warmth and you will receive, as a Mother’s Gift to a child, the Emerald gift of The Goddess, to heal and release negative emotions. You will draw and paint each Goddess, playing with colour and symbol to awaken the Ancient Dreams of The Sacred Feminine. You will learn about the breath and its function in creating a still, calm space in which to listen and learn to trust. You will open Pathways into The Soul to heal and transform, using the patterns of sound expressed through the Language of The Goddess. 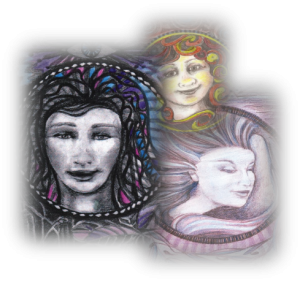 You will learn how to apply The Gifts of The Goddesses in everyday life to empower and uplift. You will turn through The Directions and learn of the changing perspective in The Wheel of Life. You will learn how to weave a Sacred Cloak , using “off loom” weaving, using techniques such as rya and tapestry. As a practitioner, how do I use The Emerald Fire to help others? 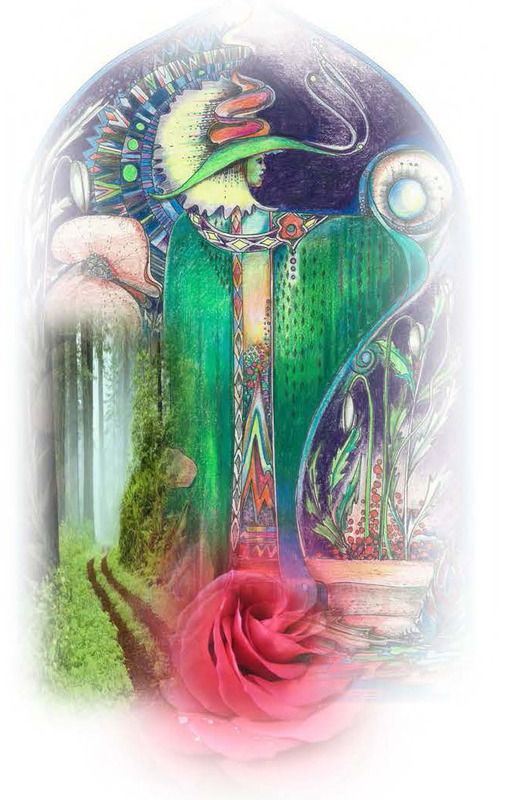 Through interpretation of that pattern and the asking of further questions, “How shall I travel?”, “How shall I overcome obstacles in my path?” and “How shall I be protected?”, an overall picture of wholeness emerges. The Emerald Fire is used to help people find new directions, solve problems and open channels of healing. It is a divination system in which the client and the practitioner communicate freely. As the six keys are revealed from the circle of 12 Goddesses, the heart is opened to gently transform negative thoughts and emotions. 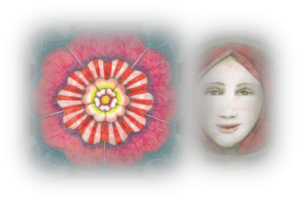 Sheila Murphy is an artist/ weaver, yoga teacher, healer and writer of children’s stories. She has spent thirty years working in Derbyshire, Oxford, Berkshire, Wiltshire and now Cheshire, as a teacher, writing and delivering training programmes . She is qualified as a yoga teacher, stress consultant and holds a Certificate in Education. The Emerald Fire has developed over twenty years, evolving through many levels, becoming a multi-faceted jewel, able to shine through the heart. The Emerald Fire Course Details. The course extends over 12 week ends for the teaching of the Goddess Wheel with an addition of an extra 3 week ends to consolidate the relationship of the feminine to the physical landscape. The week ends are non residential and where required a list of B&Bs will be sent out. Each week end begins 10.am on a Saturday and Sunday and finishes on both days at 5pm. Tea , coffee, herbal drinks , biscuits and a light lunch are provided on both days. An A3 cartridge sketch pad. “Dance through The Moon” . a book on the foundations of creativity, with beautiful black and white illustrations to colour. The Divination Board, displaying the 12 Goddesses. The Divination Silk cloth with images of the 12 Goddesses. Paper and text to create magical cards. A black velvet bag to house the working divination pack. Please telephone Sheila if you are interested in attending or to discuss the programme. Also to find details of the dates and location details.